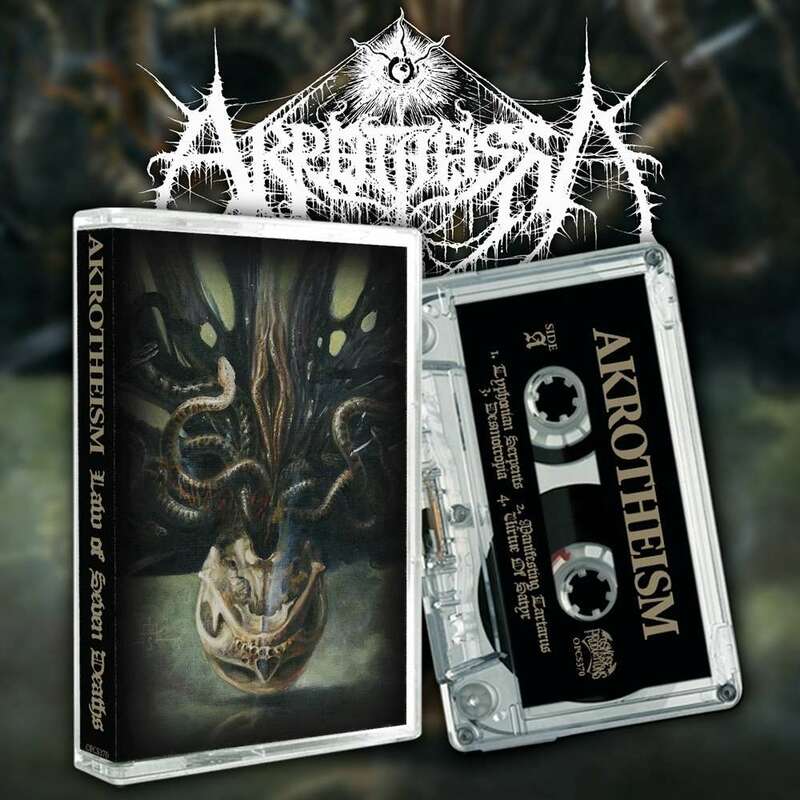 Info : Hailing from Athens, Greece, Akrotheism formed in 2012 to perform violent-yet-experimental black metal which deeply explores matters of esotericism and philosophy. The band's first recording came in 2013 as a split EP with countrymen Order of the Ebon Hand. Emboldened by that momentum, a year later came the band's debut album, Behold the Son of Plagues, which was a shockingly accomplished work for such a young band. 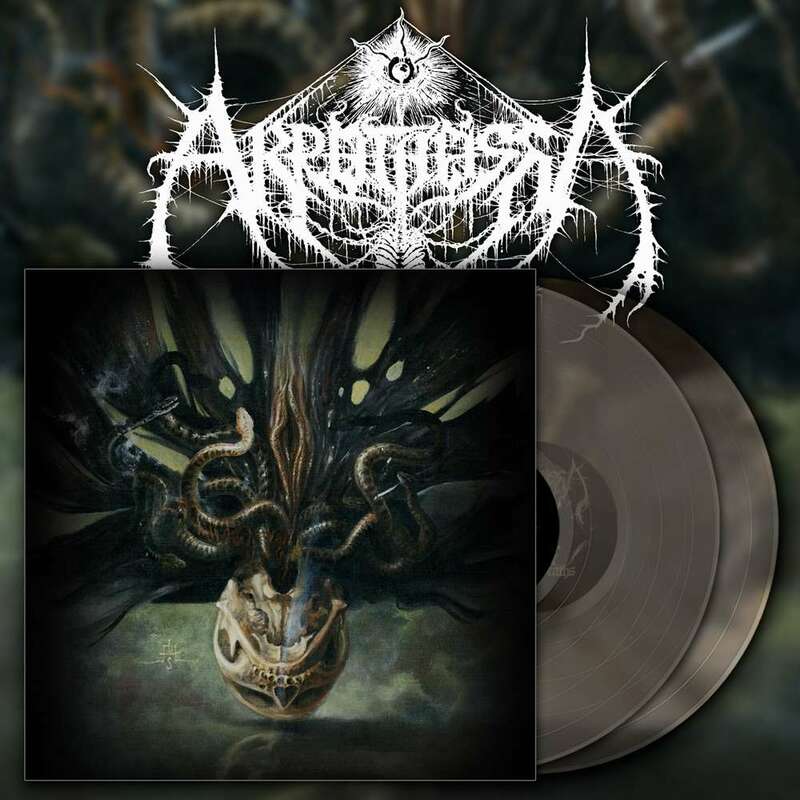 Then, in 2015, Akrotheism delivered two tracks to a split release with countrymen Septuagint, which showed an even bolder and more daring vision of black metal. During this time, the band made select festival appearances once a year, playing alongside such esteemed bands as Ofermod, Necros Christos, Acherontas, and Bölzer among others. 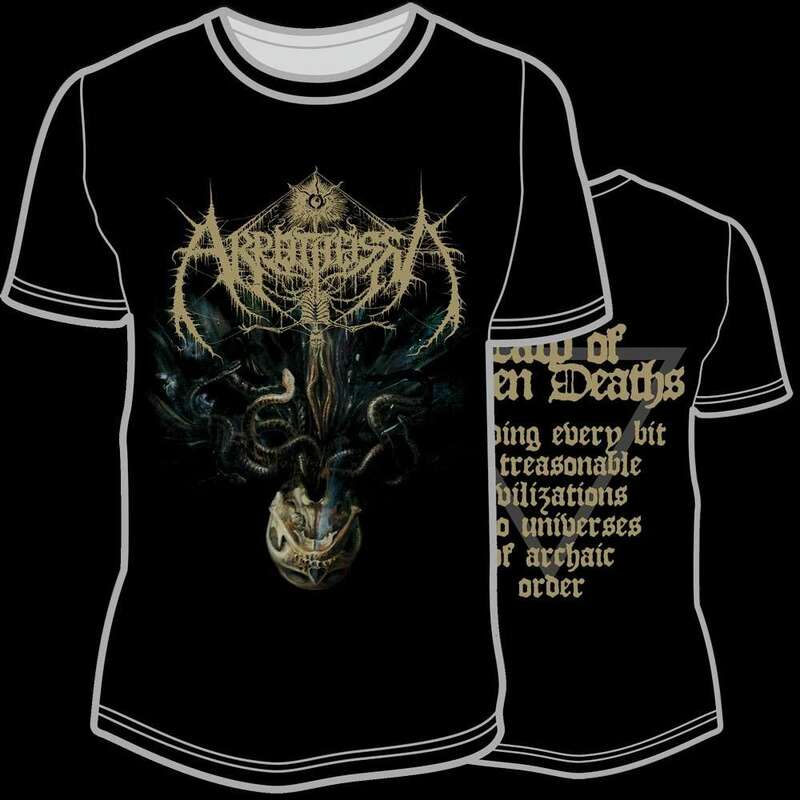 Now, lying in wait to unveil their boldest and most daring work yet, Akrotheism have been studiously crafting their breakout second album, The Law of Seven Deaths, which will be released under the auspices of Osmose Productions. Both a culmination of all thematic and textural exploits to date as well as new corridors yet unexplored, The Law of Seven Deaths is a veritable labyrinth of beyond-the-drape atmosphere and dizzying, dynamic aggression. 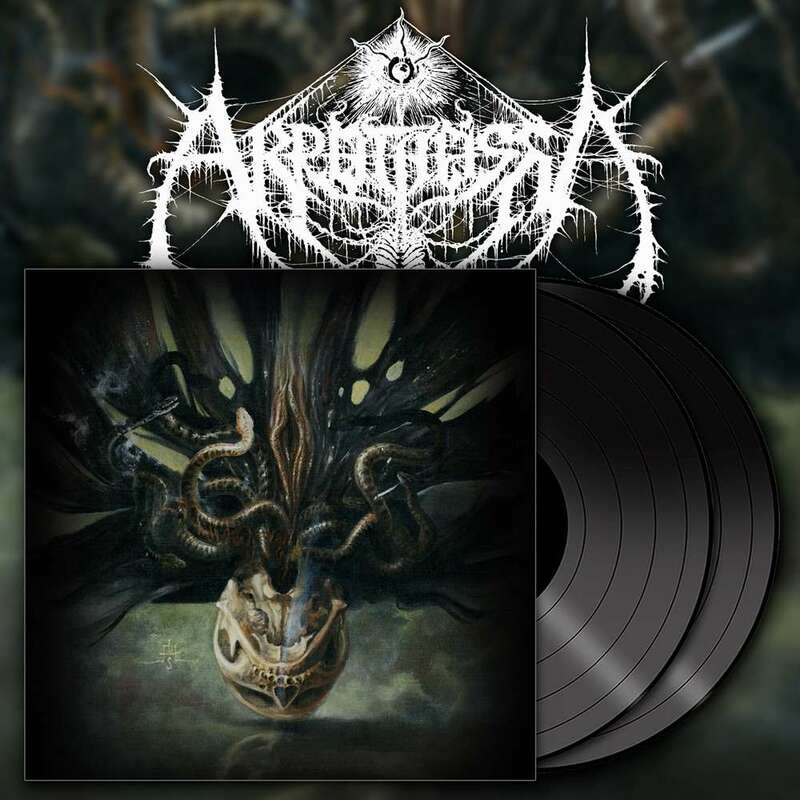 The album was mixed and mastered by Stephen Lockhart at Emissary Studio, Iceland - known for Svartidaudi, Sinmara, and Rebirth Of Nefast among others - and will feature guest vocals and chants by Acherontas V. Priest. Verily, The Law of Seven Deaths is the work upon which Akrotheism will be duly judged and found triumphant. A statement from the band reads as thus: "The Law of Seven Deaths came into existence to provoke those who dare to take the inner journey. The one to the uncontrolled liberation of subconscious energies." 100 x audio cassette clear with black inlay, J-CARD: 6 panel, full-color, all assembled in a clear-clear case (with spindles) and sealed.